A bash script to update your Ubuntu system. 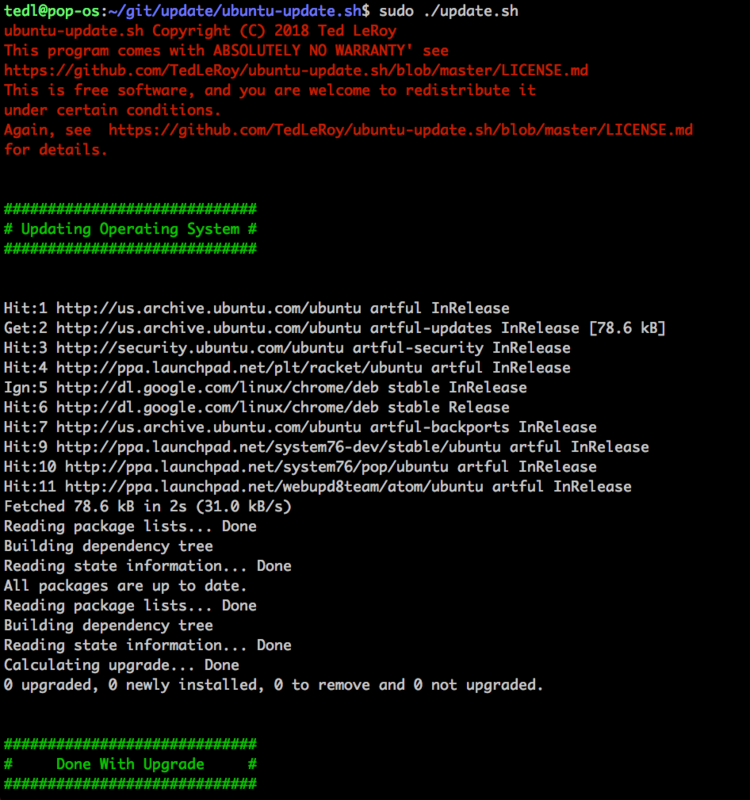 Set the file to executable then run it with sudo as outlined below to update your Ubuntu system. I maintain several individual Ubuntu 16.04 Long Term Support (LTS) Servers and found myself typing sudo apt update && sudo apt upgrade -y && sudo apt full-upgrade -y often. I made a script that did this, but thought it would also be fun to make it a bit more functional and make it available to everyone. Also, I noticed that when these commands are run together, the output can get quite lengthy, and there’s no clear separation between the parts running, so I’d have to scroll back up through the output to see whether there was any output requiring action. This script puts clear banners at the beginning of each activity and parses output in an attempt to present items of interest like warnings or reboot messages at the end of the output. The goal of this project is to provide an easy to use, single command to automate the tasks routinely undertaken to update an Ubuntu system, and to provide the messages that require further action or inquiry at the end of the run. If, like me, you maintain several Ubuntu Linux systems, and you find yourself typing sudo apt update && sudo apt upgrade -y && sudo apt full-upgrade -y, this script is for you! If you maintain a large Ubuntu Server infrastructure, you likely have a patch management system, so this probably isn’t for you. You could, however, scavenge some useful features like using getopts to accept command line arguments for your other scripts! You must have sudo permissions to run this script. You must set the file to executable. being in the directory where the file resides when you run the command. You will not have to set the file executable if you create a local git repository and clone from Master. Be sure you have read and understand what this file does before running it. You can read the man page for each command and option to see what it does. Any time the creator of a script says it has to be run with sudo permissions or as root, inderstand why and use caution. This script has to be run with sudo because the apt-get commands it uses must be run as root. To understand getopts, you can type help getopts or just search the web for more info. The other commands used are fairly straight forward. It also writes the output to a file, /tmp/update-output.txt, and to the screen with the tee command, then uses grep to parse the update-output.txt file for information you may want to be aware of, displaying any found at the end of the run. It then deletes the /tmp/update-output.txt file that was created. I chose to use apt-get instead of apt commands because apt-get provides more stable and reliable output than apt which makes it more script friendly. ubuntu-update.sh does not require any special installation. Either copy the repository from GitHub or simply copy the file using the download option from the green “Clone or download” link in the upper right of the github page. being in the directory where you want the file downloaded, then type unzip master.zip to extract the files. being in the directory where ubuntu-update.sh resides. You may choose to skip certain commands by specifying one or more options at the command line. Output will be the normal output to std-out of running the apt-get update, upgrade, dist-upgrade, and autoremove commands. It is recommended that you run this script interactively instead of calling it with another script or process. You may be prompted for input for things like GRUB updates, or which version of a file to keep. This will hang the script unless you provide input. Although these prompts could be overridden with export DEBIAN_FRONTEND=noninteractive, responding to the prompts provides greater control. 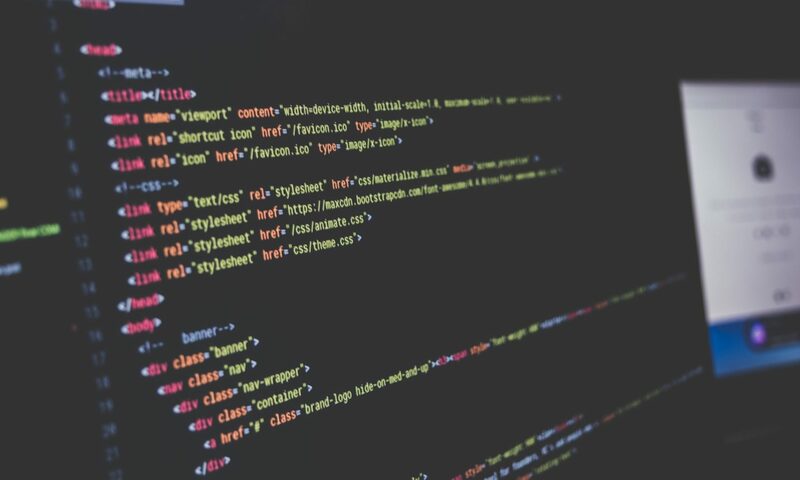 The script will also parse the output attempting to display lines that may require your attention at the end of the run, looking for words like warning and reboot. Look for messages recommending a reboot or providing other warnings you may want to check out. These should be displayed at the end of the run but it may not catch all items of interest. Here are a few common issues you may encounter and how to resolve them. 1. Forgetting to type sudo before the script name. Notice the statements like Operation not permitted and Permission denied. These indicate an issue with the permissions used while running. It must be run with sudo. 2. A collision of updates. By default, Ubuntu 16.04 Server will install security updates automatically. If this happens, just wait and try again later. This project will go through some iterations as I think of things I’d like to add, or add features based on feature requests. You’ll want to keep your script up to date. 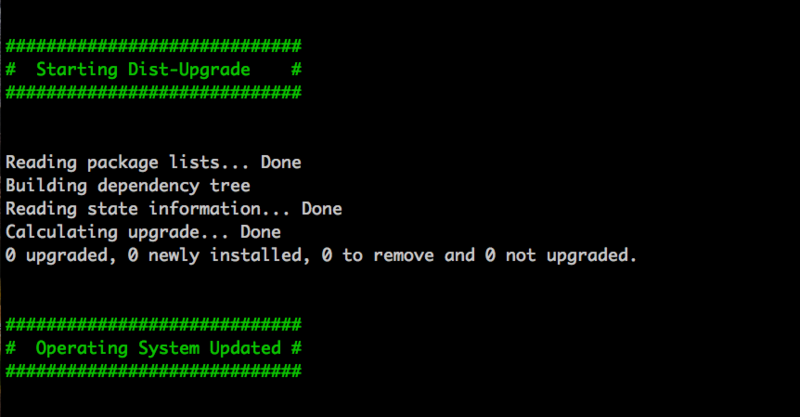 If you chose to create a local git repository, you can run one command to update to the latest version available. from the directory where you created your git clone. If you downloaded the file, you’ll have to download again after each update. bash script using apt on Ubuntu 16.04 LTS. ~~Implement versioning so people will know when there has been an update.~~ [Done] – Version 1.0 released on 16 May 2018. Suggestions for features are welcome, provided they are in alignment with the Project Goals above. This project is licensed under the GNU General Public License – see the LICENSE.md file for details. Creators and maintainers of apt. The Free and Open Source Software (FOSS) community and people on the Internet at large who provide their solutions to problems like this. This is really a Frankenscript of the work of many who created scripts or tutorials with features I was hunting for. Shouts out to LinuxConfig.org and Kevin Sookocheff for their tutorials that helped me learn and integrate getopts into the script. Shout out to kph for suggesting getopts. 77 upgraded, 0 newly installed, 0 to remove and 1 not upgraded. Need to get 79.0 MB of archives. After this operation, 19.8 MB of additional disk space will be used. 1 upgraded, 1 newly installed, 0 to remove and 0 not upgraded. Need to get 35.2 kB of archives. After this operation, 39.9 kB of additional disk space will be used. Selecting previously unselected package libdrm-common. This was run on an Ubuntu 16.04 LTS Server installation of Ubuntu. Step-by-step setup of key based remote access.